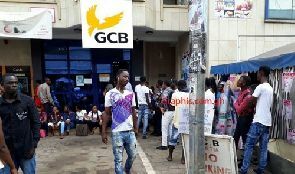 Banking halls and frontages of various branches of the GCB Bank were flooded on Monday with young men and women who formed long queues to purchase vouchers for recruitment into the Ghana Police Service. As early as 6.am, some of youth were spotted at the Harper Road and Adum branches of the bank in Kumasi waiting for the banking halls to be opened at 8am so that they would purchase the voucher that enables them to have access to fill their forms on the internet, reports Donald Ato Dapatem. At Harper Road Branch of the GCB Bank, the officials had erected canopies to shelter the applicants from the vagaries of the weather especially the sun and probably when it rains. 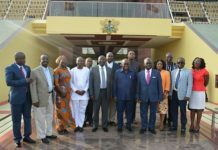 Nicholas Abban, said he had been in the queue for just three hours and expressed the hope that he would be served before they would be told that the vouchers were finished adding that “this is Ghana, they can just sell half of the quantity and take the remaining half to their relatives”. Speaking to Graphic Online, a 22-year old Abena Dufie from Asafo in Kumasi said she first went to the Harper Road Branch but was scared by the long winding queue and had to rush to the Adum branch where the queue was manageable. No officials of the banks was ready and willing to comment on the issue. 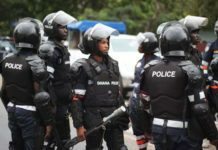 Richard Acheampong said the queue had been moving smoothly and was very sure that he would be served in an hour’s time “so that I have the opportunity to enter the police training school, come out and help maintain law and order.